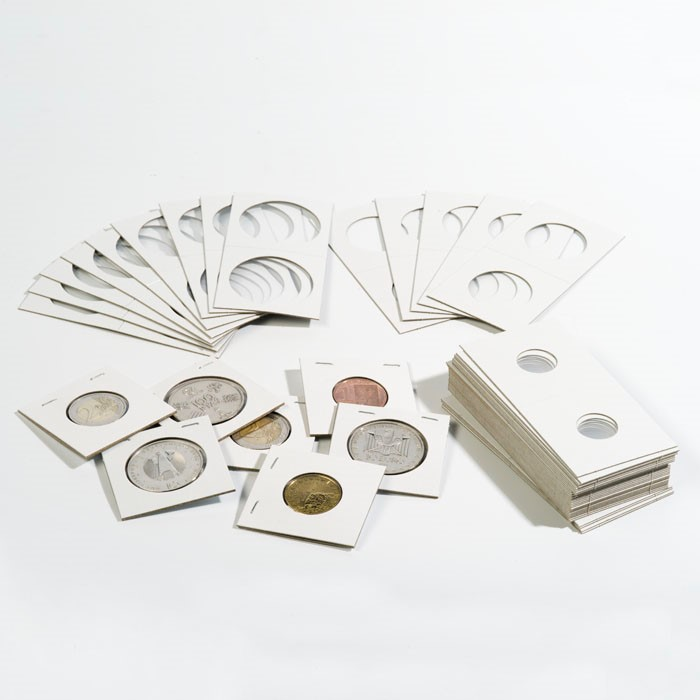 The self-adhesive coin holders are designed to provide optimal protection against environmental influences. Made of sturdy cardboard and 100% transparent plastic the holders will fit neatly inside an accompanying coin album, ensuring the safety of your collection. It couldn’t be easier to store your coins safety, simply insert the coin into the open frame within the presentations folders (found here and here) and fold the both sides together. Once pressed down firmly the glue will activate and your coins will be sealed and airtight, preserving them for future generations. 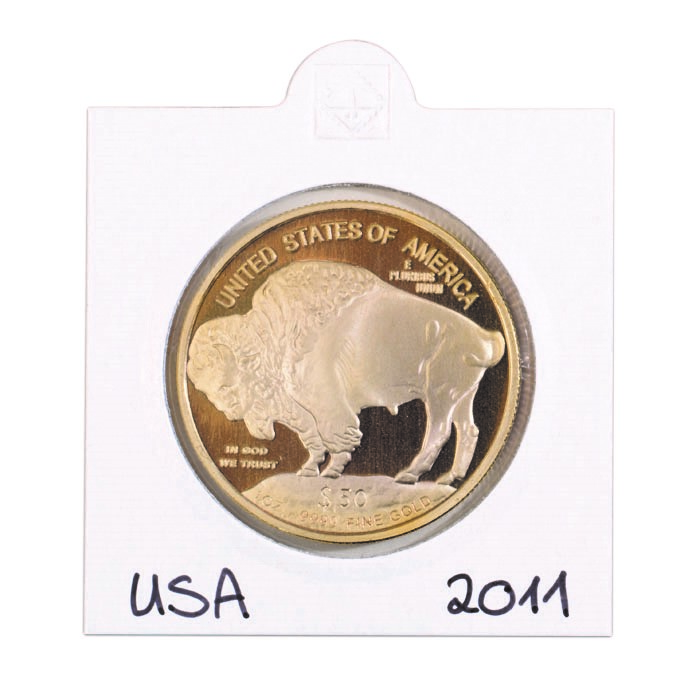 Please Note that these come in many different diameters to fit a wide variety of coin sizes, see Coin Accessories.